2960 S Durango Dr, Unit # 114Las Vegas, Nevada 89117. The 70’s hit TV show “​The Brady Bunch​” was a glimpse into what family life is like with young kids all sharing a bathroom—which in this case was a Jack & Jill bathroom that Mr. Brady (his character being a father of 3 boys and architect) had designed for his 3 boys to share with their 3 new step sisters. 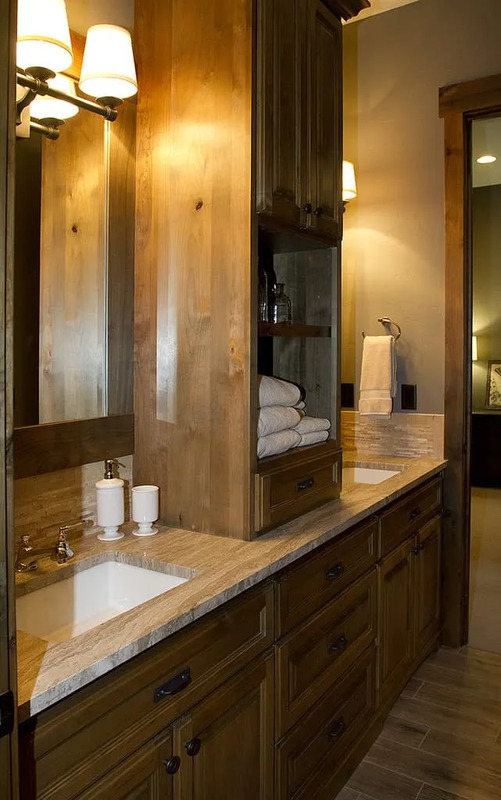 Having a Jack & Jill bathroom is certainly beneficial to the homeowner with a big family, but it is also beneficial for house guests and adult family members occupying the two bedrooms. As mentioned above, the Jack and Jill bathroom is a unique design where two bedrooms share one bathroom–linking them together–each having a door entering from the side of the bedroom. There is also the option of a 3rd door entrance from the hallway; however, most Jack & Jill bathrooms keep things private servicing the bedroom areas. This unique bathroom design most always has two separate sinks, but shares one toilet, shower/bathing area–as well as a linen closet should this be included in the design of the bathroom. Although a private bathroom for each bedroom is ideal, it is also very expensive. Using one bathroom to accommodate two bedrooms saves space and money. Jack & Jill bathrooms have valid benefits both for large families and for homeowners that frequently have house guests. The Jack & Jill bathroom should be designed to give equality to family members. Like the Brady’s intended, parents will see their kids learning to share and compromise in a Jack & Jill design. The bathroom can be locked from either side, leaving the bedrooms to remain separated and give their occupants privacy. With both sets of locks, it is important for everyone to develop the habit of unlocking the door to the other bedroom before they exit–so the other individual in the opposite bedroom won’t be locked out of the bath. After designing the perfect layout of your Jack & Jill bathroom to generously accommodate both occupants in each of the bedrooms, you will want to discuss with your​ Las Vegas Contractor​ what elements to incorporate into the room to ensure its success! 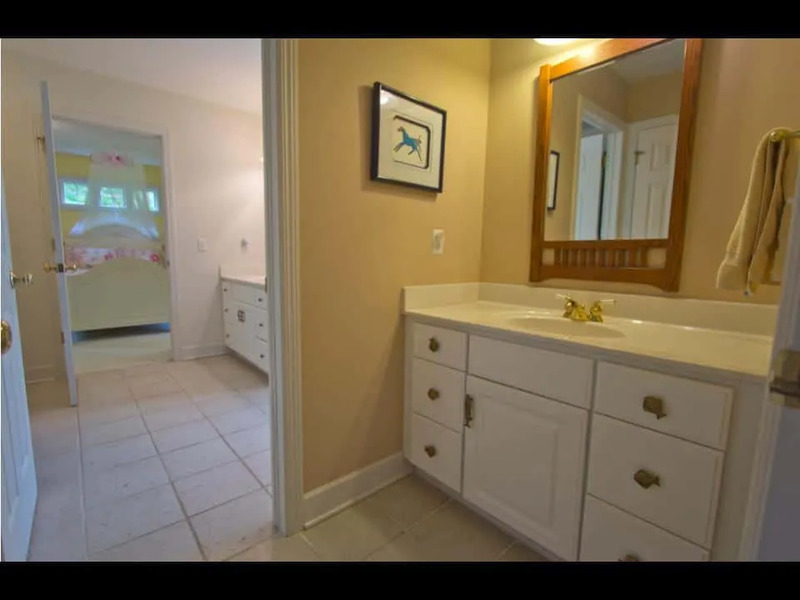 Since a Jack & Jill bathroom links two bedrooms that most likely have completely different styles/color schemes, decorating a Jack & Jill bath will require some compromise. hold hair products and soap. If there are two vanities, having matching medicine cabinets is also imperative to keep important items separated. While the Jack & Jill bathroom is a unifying area joining two spaces, it can also include personal touches that reflect the personalities of each individual occupying the bedrooms. 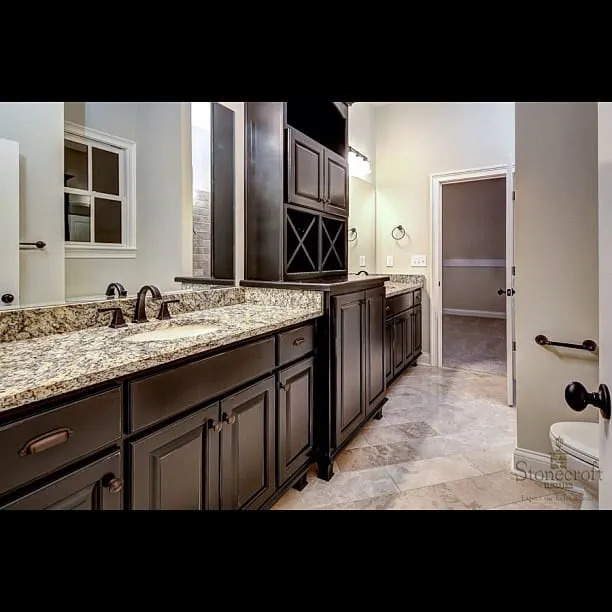 When the time comes and the kids are grown and have left the nest, having your​ General Contractor in Las Vegas​ upgrade your Jack & Jill bathroom to accommodate your adult houseguests and adult family members would be ideal. Now you have a convenient bathroom for your guests or when your kids come to stay for a visit. Changing up your sinks is a great place to start. Now you may have some flexibility and get creative with your sink design. For instance matching hand-painted glass vessel sinks would bring sophistication and class into your Jack & Jill bathroom. Upgrading your cabinetry, flooring and paint, while tieing in colors and materials found in the bedrooms would be ideal. 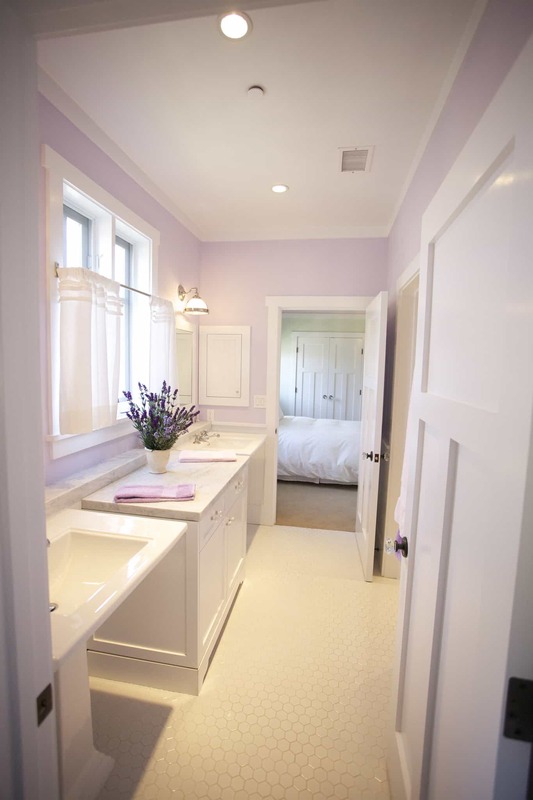 If there is one unifying color between them that is used in both bedrooms, add it to the bathroom design. Finding a ​contractor in Las Vegas​ who can assist you with your Jack & Jill bathroom remodel is one phone call away. Contact GI Construction today to get your Jack & Jill ​bathroom remodeling​ project underway! GI CONSTRUCTION is a professional and client-friendly one-stop shop, fulfilling all of your remodeling, renovating and construction needs! GI CONSTRUCTION is the first choice for everyone!